YouTube was acquired by Google in the year 2006 when cable television used to be the primary form of entertainment. Time has changed and a lot of people prefer watching content over the web than sitting in front of their television. Google in their latest statement claimed that YouTube has attained phenomenal popularity in terms of viewership and patronage. The statement was made by Omid Kordestani, during the earnings conference call. In order to support the claim made, the company’s Chief Business Officer pointed to the statistics that confirmed people aged between 18 years and 49 years in the United States prefer to watch the majority of their content on YouTube than the local cable network. In a span of one year, the viewership count on the streaming media website has increased threefold. The “watch time” which is the actual time spent watching videos on the site has seen a 60 percent boost in the last two years. The drastic change in viewership is also because of the fact that a vast majority of users are inclined to watch videos on their smartphones and tablets than on televisions. The average number of users who spend watching videos on YouTube mobile app has doubled in one year. According to statistics, an average user spends at least 40 minutes every day watching videos on their mobile devices. The company should be credited for their continued commitment to new features. Google confirmed that features like auto play and automatic video suggestions has helped play an integral role in getting more young users on board. When they like to find a new music video or a trailer, they automatically login to the YouTube website or the app as it is much easier to find the content they are looking for in here than on any other video streaming website. 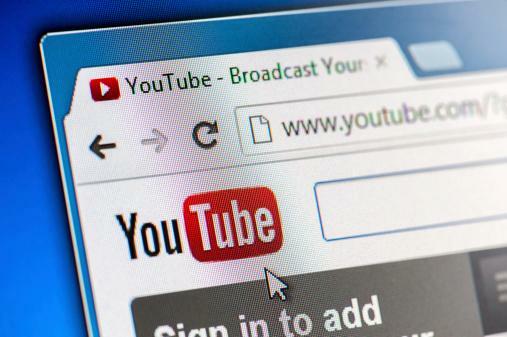 YouTube is facing the biggest competition from two websites, namely Netflix and Hulu. But the vast range of exclusive content available on YouTube that includes gaming videos and technology reviews has attracted more visitors whereas their competitors cater to a specific type of audience. The detailed infographics was based on the study conducted by a company named Miner & Co Studio. They also revealed an interesting piece of information about the modern day family. These days, if parents wish to punish their children, they prefer cutting access to smartphones and ask them to watch televisions. It’s surprising but a true fact that young children opine televisions hardly have anything entertaining to engage them.